I hope you don’t think these photos are too macabre, but there’s something terribly poignant about seeing these ordinary domestic scenes which have been turned upside down by a tragedy or a moment of rage. Somehow the fact that the pictures are in black and white makes them more interesting, perhaps it gives them a distance from reality which you wouldn’t get if the photo were in colour. What do you think of them? 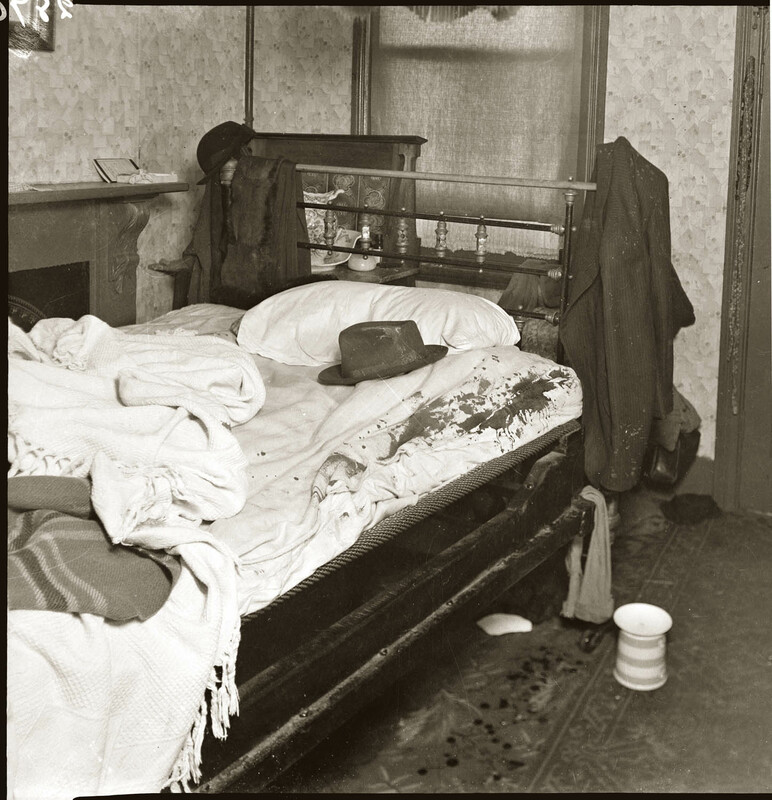 Above: Bedroom with man’s hat on bloodstained bed. Mid-1940s. Details unknown. 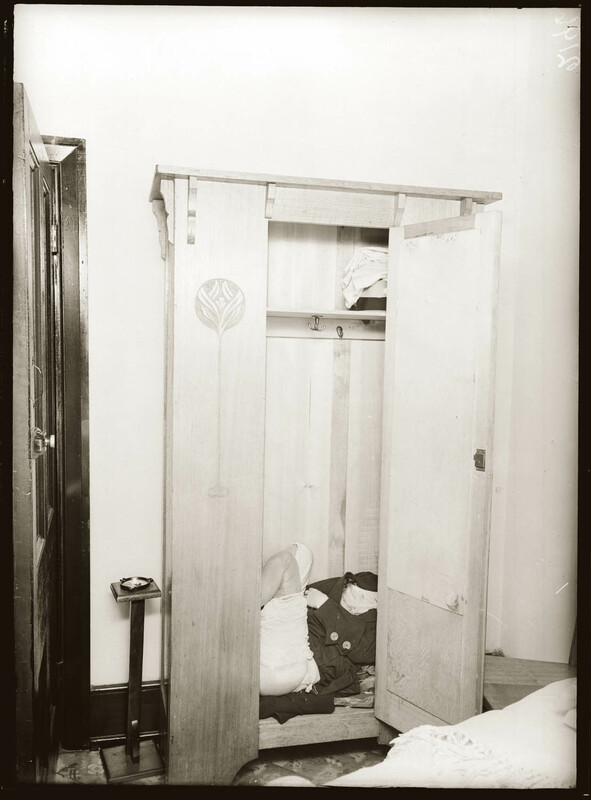 Bedroom, scene of shooting murder of Alice Isabella Anderson by Maurice Reuben John Anderson, and the subsequent suicide of the latter, at 75 Birrell St Waverley, NSW, 2 May 1944. 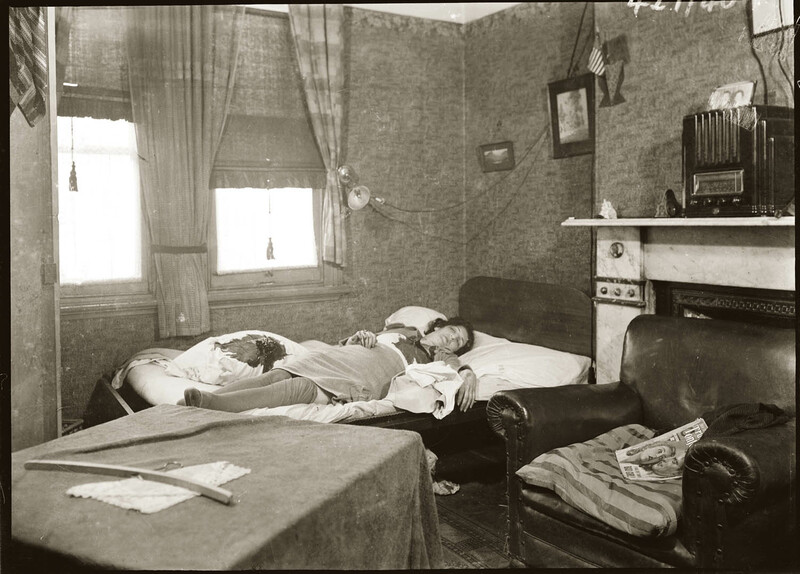 Bedroom, with bloodstained bed reflected in dressing table mirror. Details unknown, late 1930s. 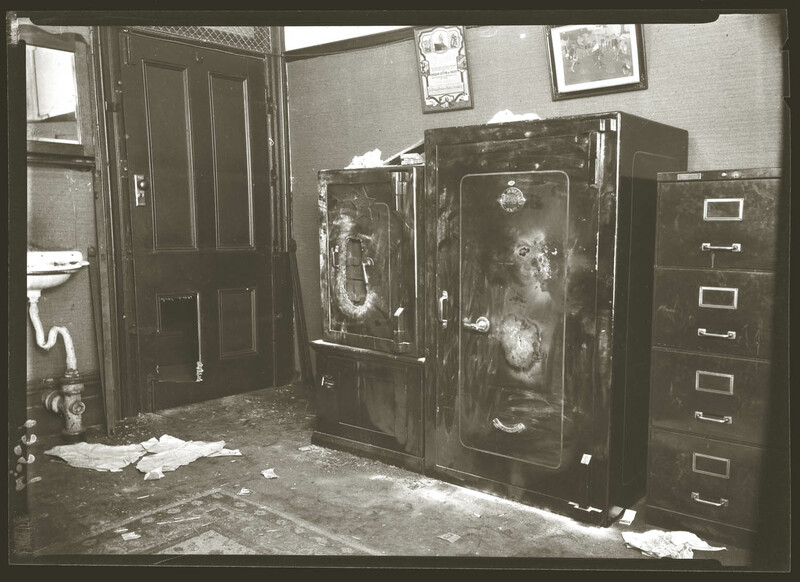 Commercial interior showing damaged safes. Details unknown, late 1930s. 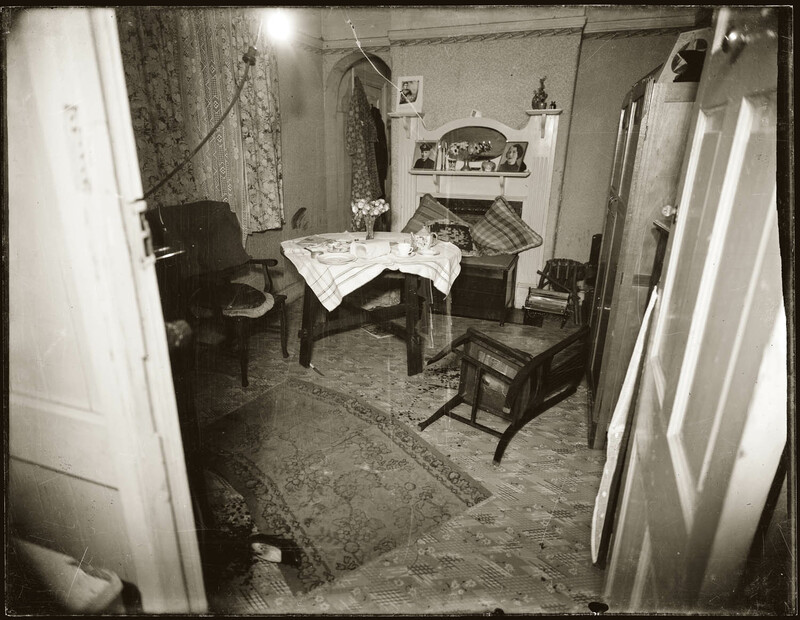 Dining room with blood spatters and signs of struggle, scene of shooting murder of Alice Isabella Anderson by Maurice Reuben John Anderson, and the subsequent suicide of the latter, at 75 Birrell St Waverley, NSW, 2 May 1944. 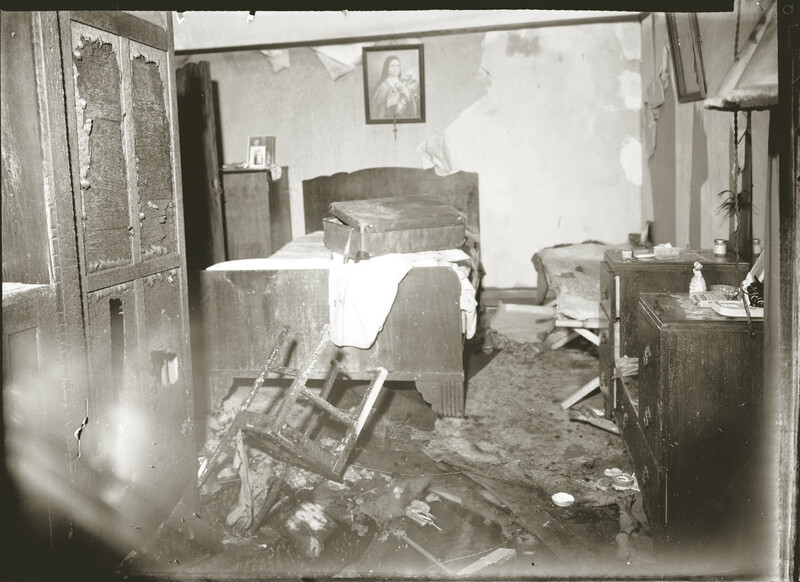 Fire-damaged bedroom, location, date unknown, presumably 1940s. 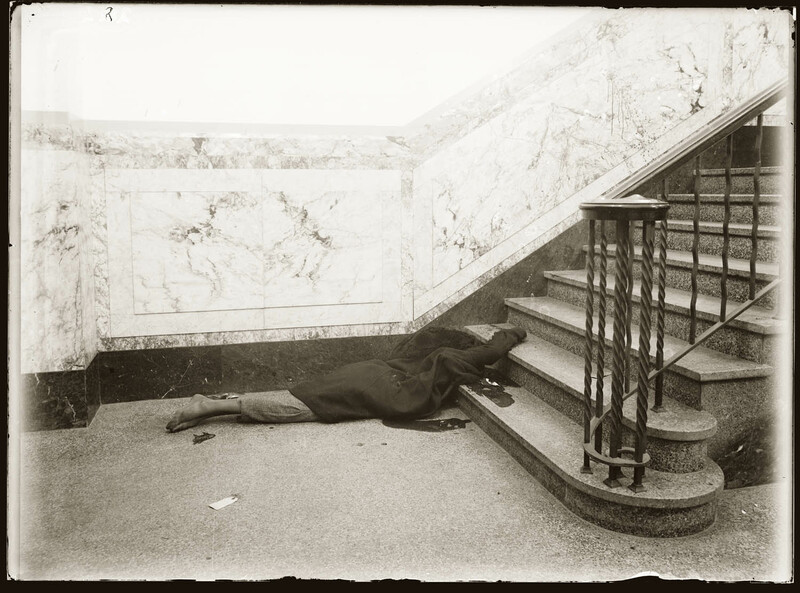 Lobby of apartment building, with corpse at base of stairs. Details unknown, around 1938. 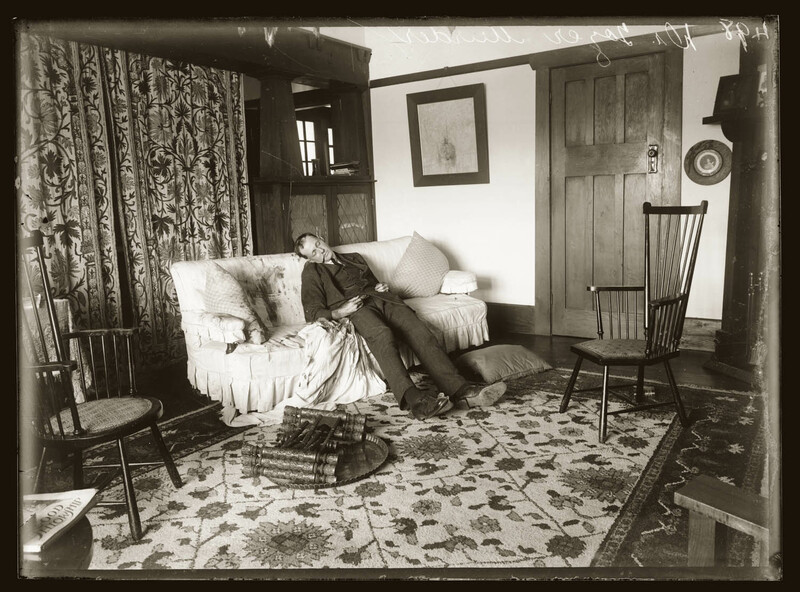 Scene of the shooting murder of Dr Claude Tozer, at the home of Dorothy Mort, Lindfield, NSW, 21 December 1920. All images source and copyright: Images from collection held by Sydney Living Museums, Historic Houses Trust of NSW www.hht.net.au. Used with kind permission. Macabre, yes, but fascinating. 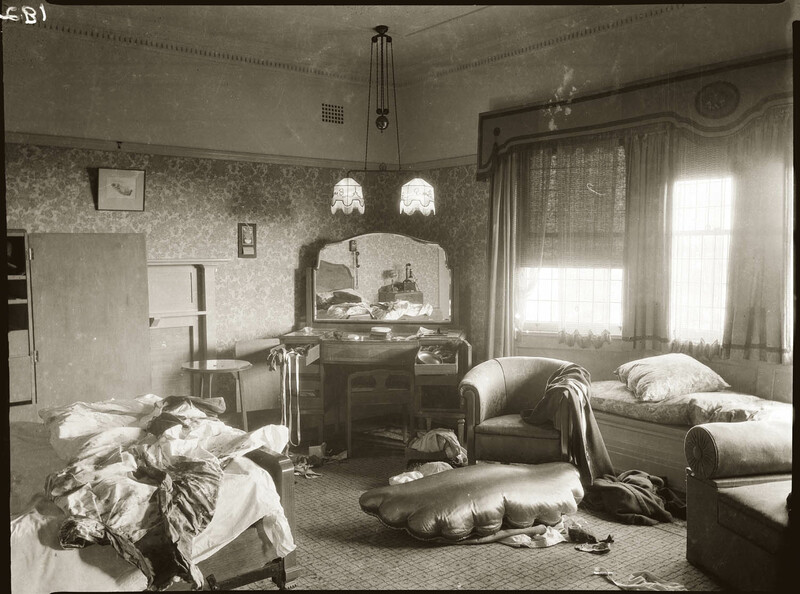 I’m compelled to study the details in images like these — what else is in the room besides the crime scene? Furniture, knick-knacks, photos…it’s all so intriguing. Thanks for sharing. Like you say these perfectly normal domestic environments changed forever in a few seconds of anger, madness, rage, jealousy? Really makes you think about your own home and how blissful the status quo is. Absolutely, makes you appreciate the mudanity of a normal happy family life! 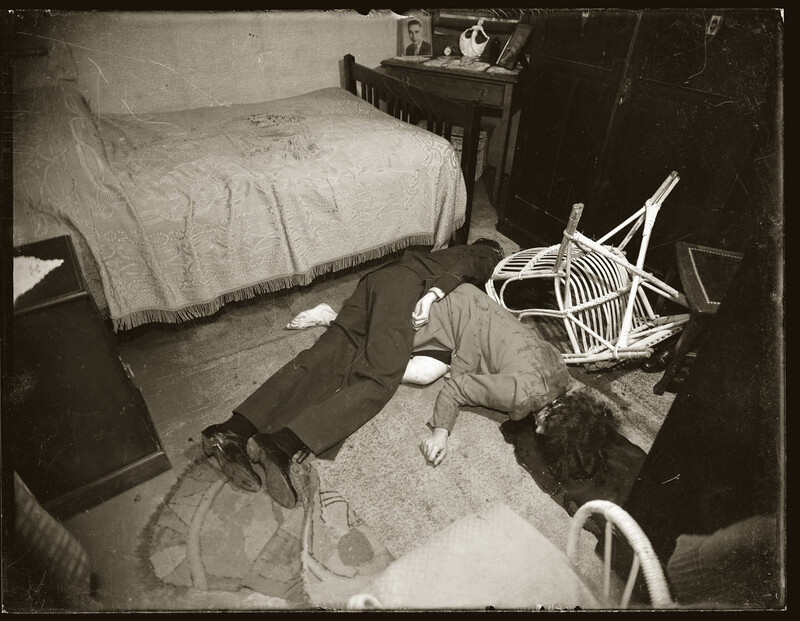 I recall buying a book back in the 90’s of 30’s-40’s crime scene photos. I was young and thought it was “cool”, but instead it ended up being depressing. There is ultimately something deeply sad about a human corpse. All those memories and hope and dreams all gone.